PMBC Groups client, simplehuman, featured on Lonny. 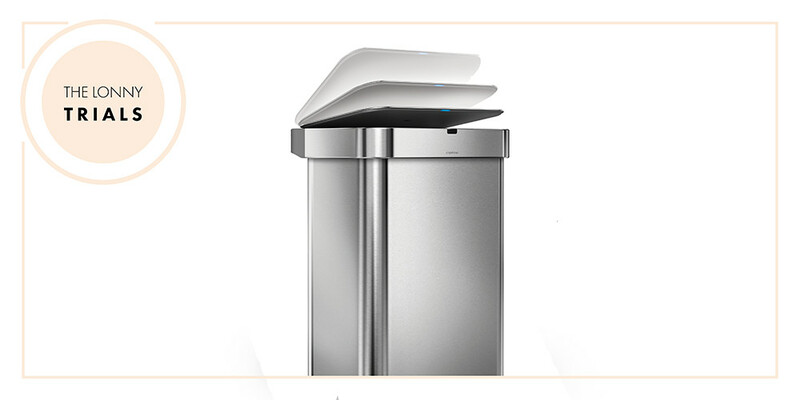 When I first got an offer to try out a Simplehuman voice-control trashcan, I thought it sounded like the most ridiculous thing in the world. I live in San Francisco, so I see tech inventions with no real reason behind them all the time. My first thought was, “Why on earth would I ever need to talk to my trashcan?! ?” But I put on a do-it-for-the-story attitude and decided to give it a go. And I’m so happy I did. Not only did the lid pop up whenever I said, “Open can,” but it also comes equipped with a motion sensor to work when your hand is right above it. What seemed like something designed for lazy people was actually extremely helpful to have in the kitchen. Our trashcan used to be stored underneath the sink to keep smells sealed away. But the process of opening the cabinet door, pulling it out, and then tossing an item when trying to also balance heavy trash in your other hand could be a little tricky and sometimes ended up in a mess. Nature Identical: What Is It and Why Does It Matter in Cannabis Processing?